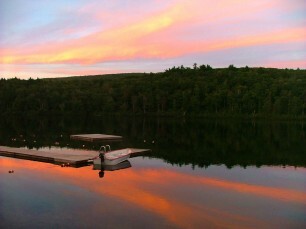 Nestled in 1,000 acres of the Berkshire Mountains, surrounded by conservation forest, and centered around our pristine, private, ninety acre lake, YMCA Camp Hi-Rock enjoys a truly magnificent location. While at Hi-Rock, campers learn to act as stewards not only of the camp’s natural setting, but of the global environment in which they live. In the fall, winter, and spring, Hi-Rock offers many meaningful programs for individuals, groups, and families, in addition to hosting groups such as scout troops, family reunions, and school and youth group retreats. Year-round, our wide range of facilities including a spacious dining hall, arts and crafts lodge, recreation lodges, rustic cabins, and waterfront building are the perfect complement to your group’s programming needs.